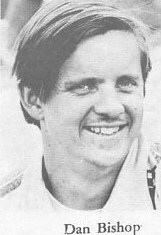 Jeff Prescott. 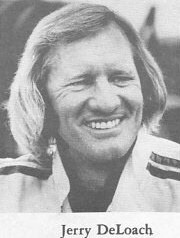 From the Robert Corey collection. 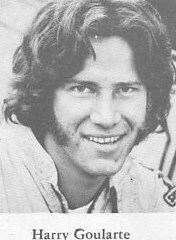 Hal Bushaw. 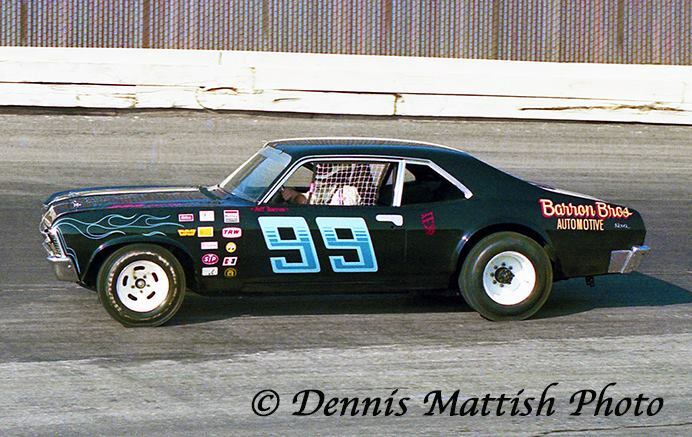 Don Mize photo. 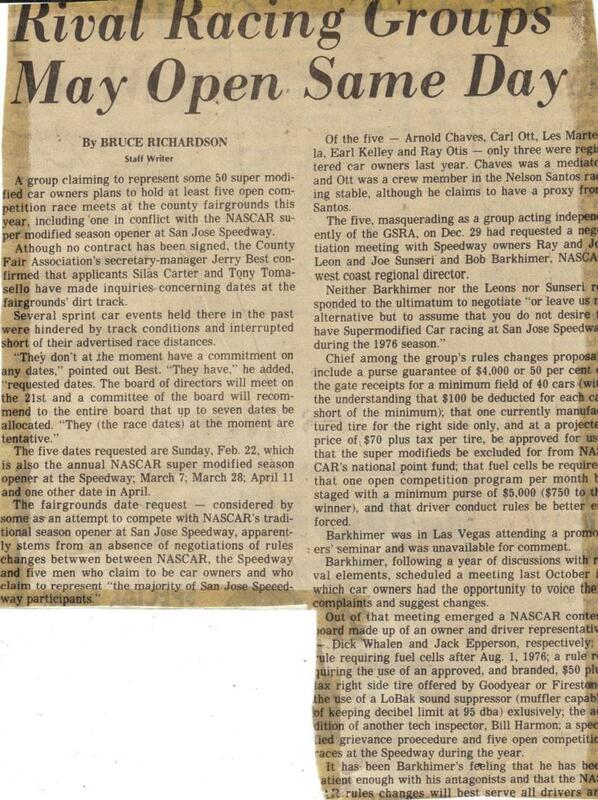 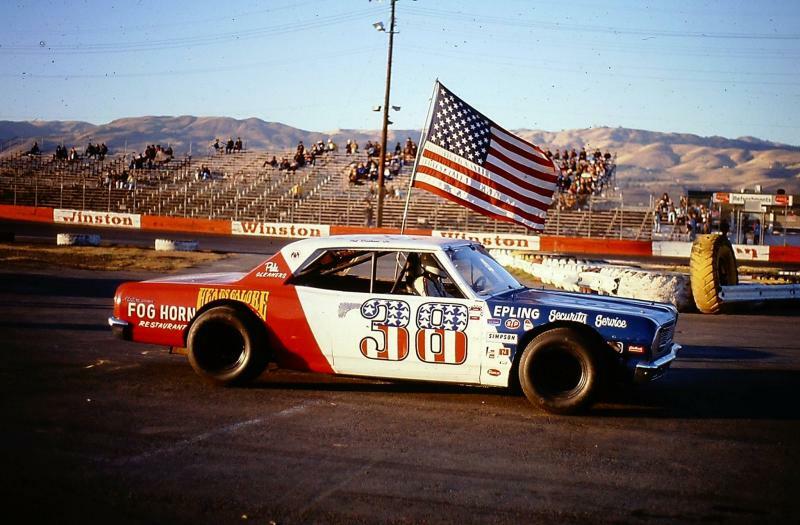 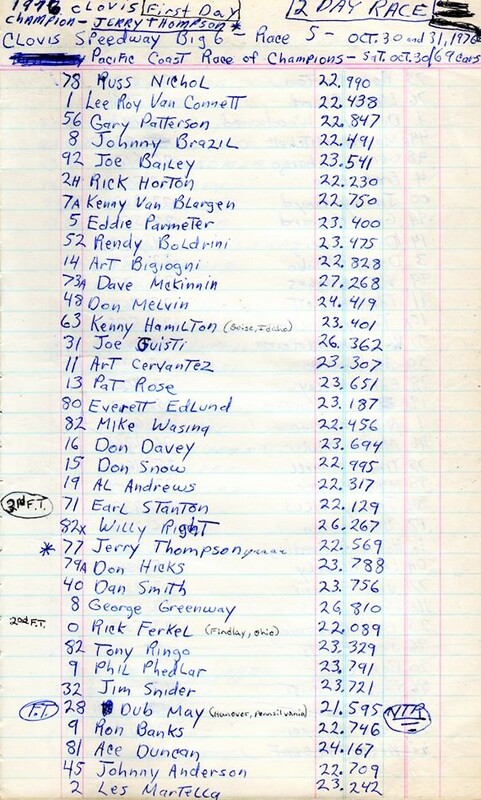 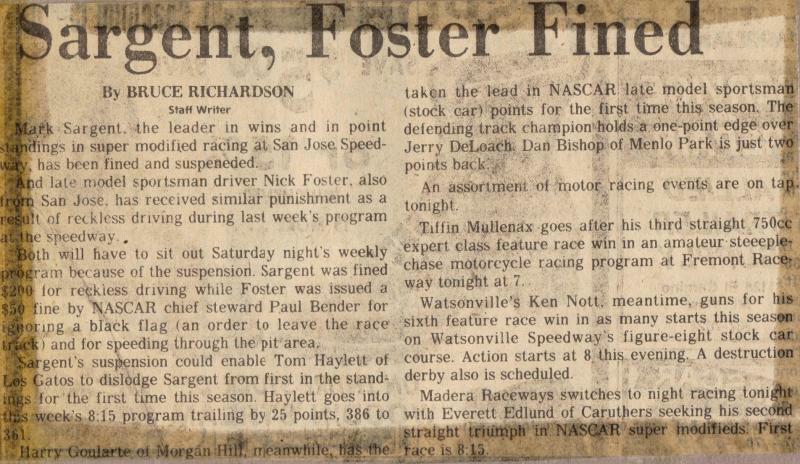 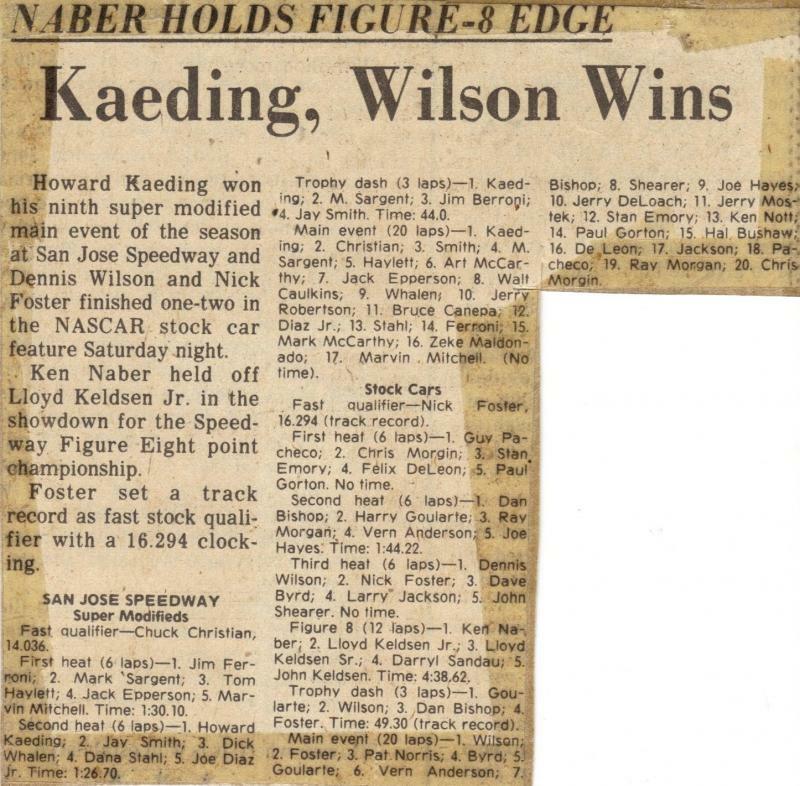 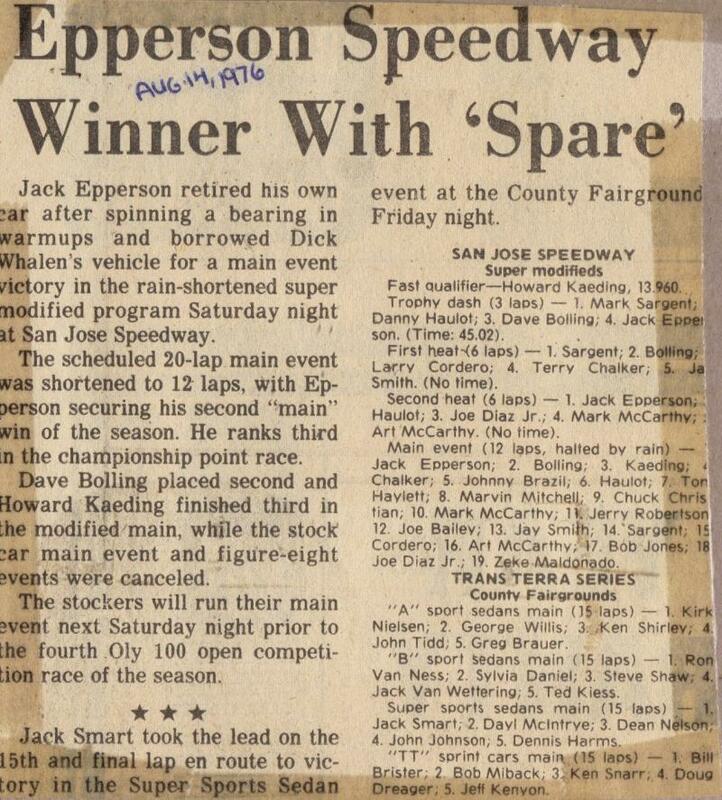 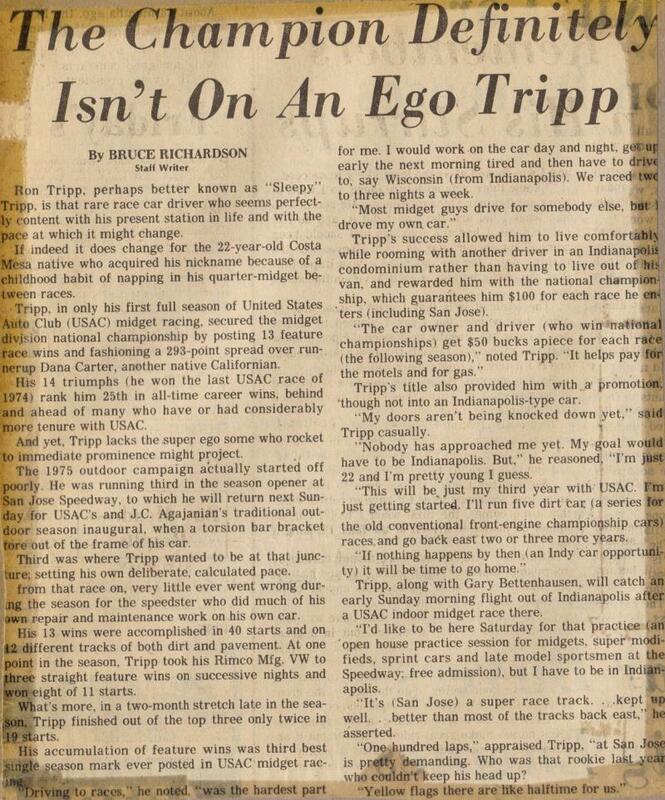 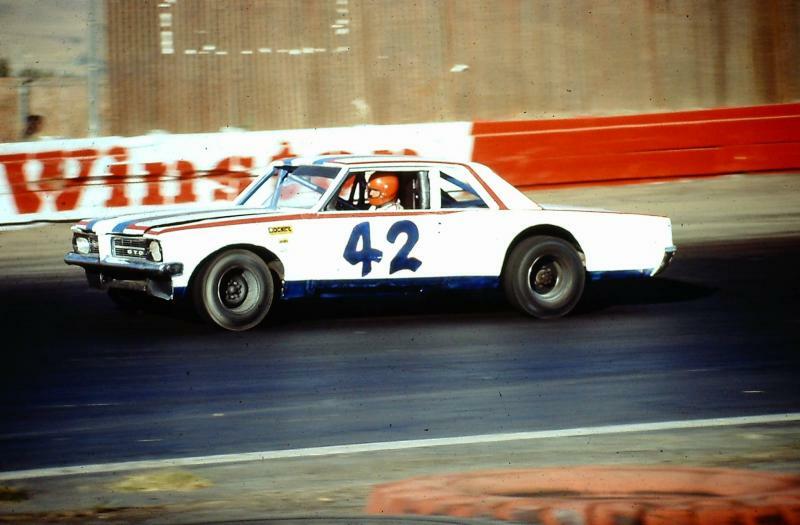 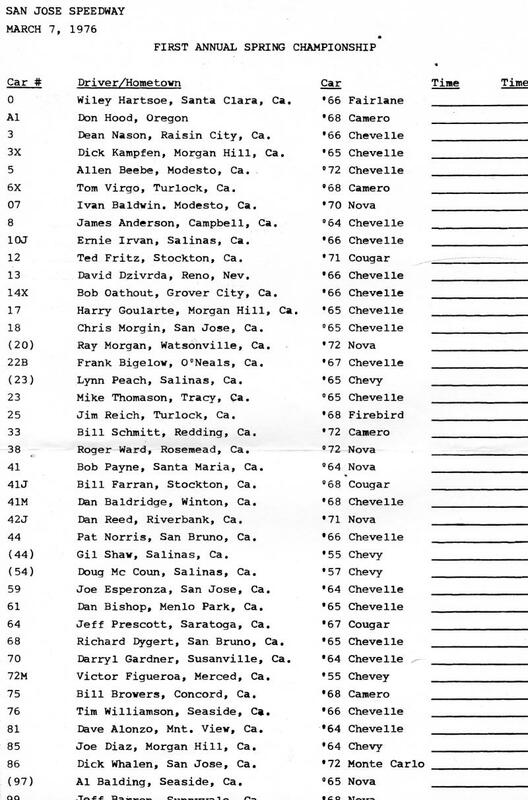 Final season 1976 was not NASCAR sanctioned and no points were awarded towards the State Of California Championship. 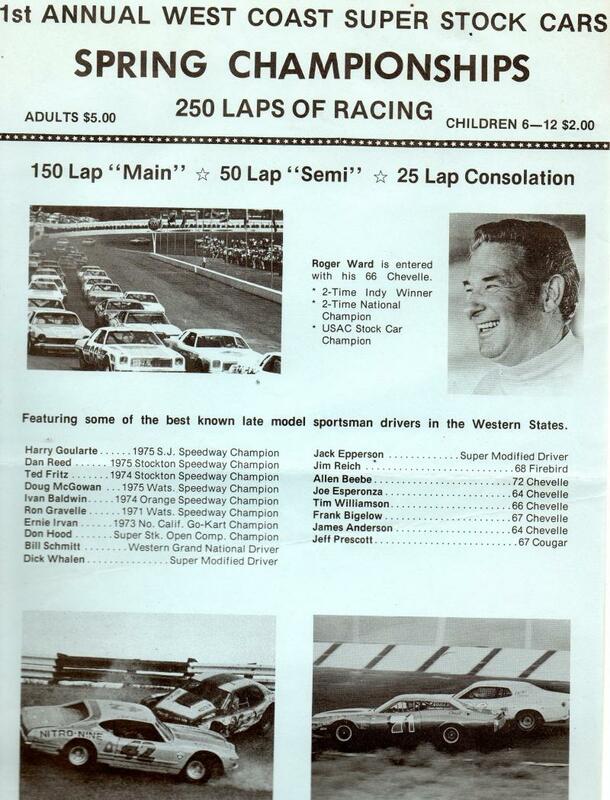 Ran a series open 50 and 100 lap open competition events. 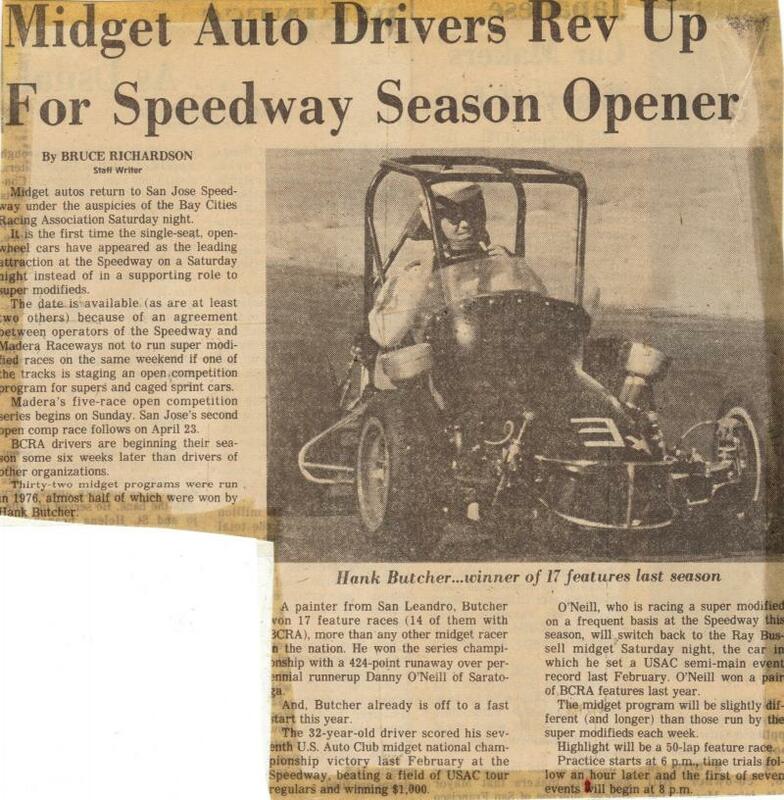 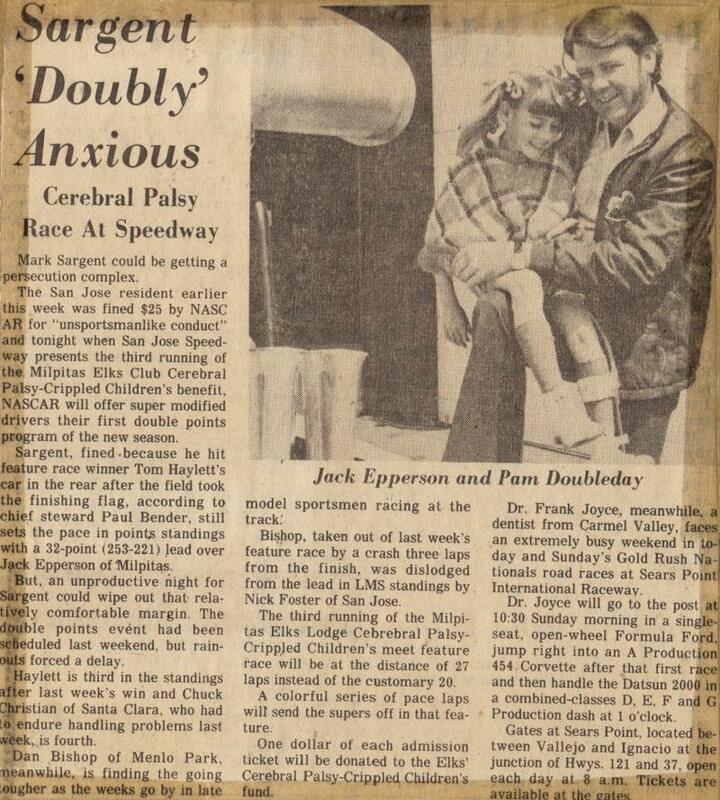 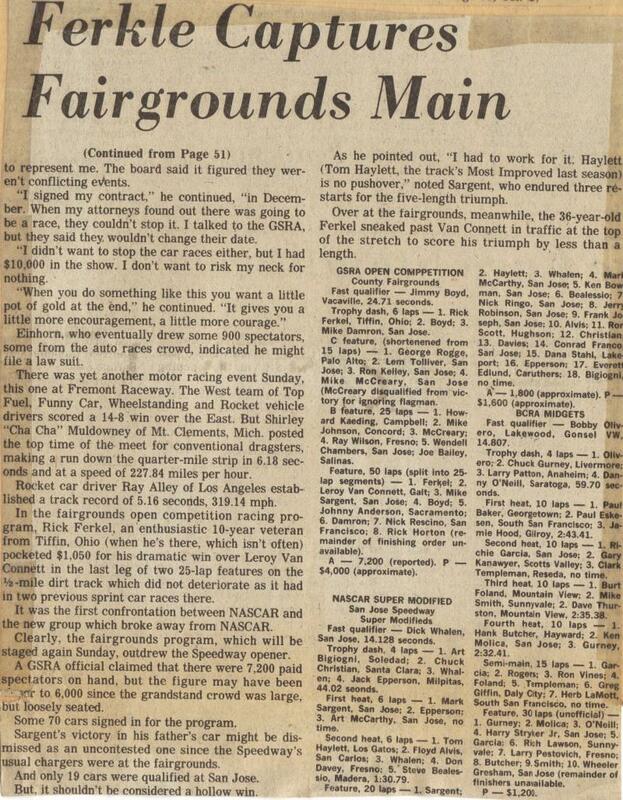 Final race ever run won by Rick Ferkel on October 31, 1976. 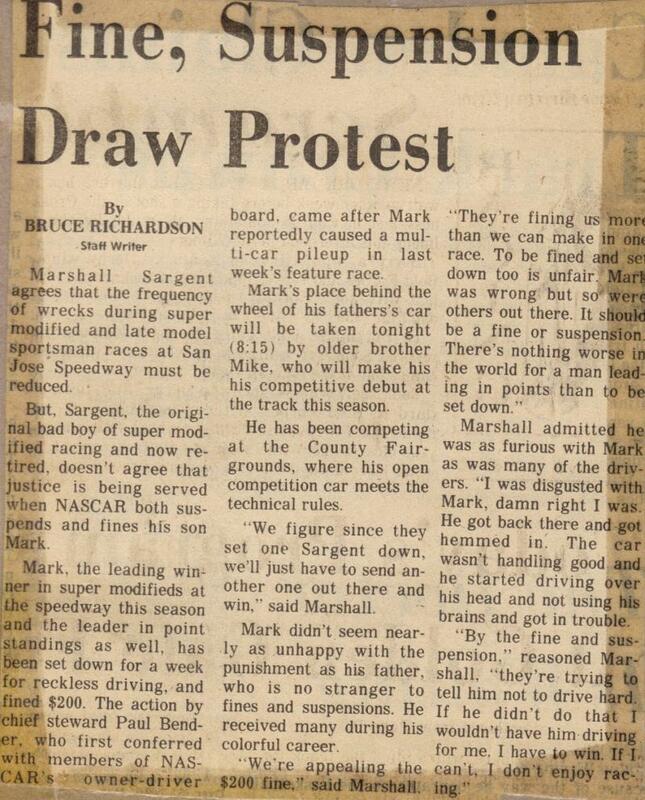 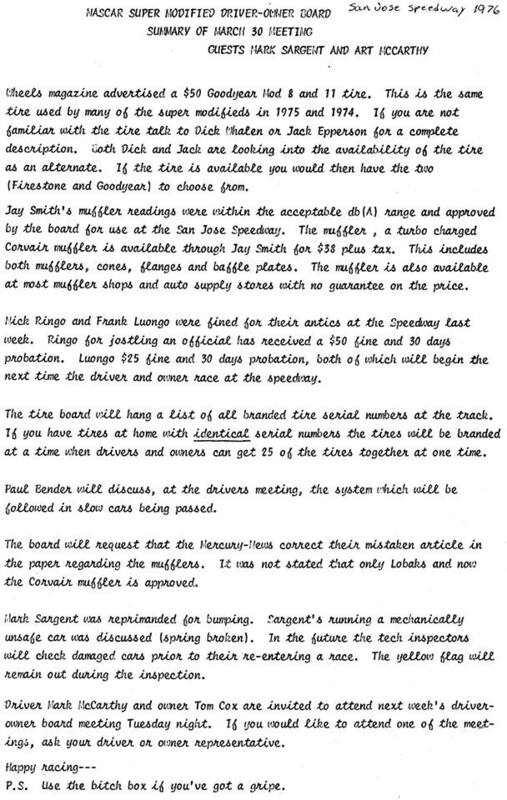 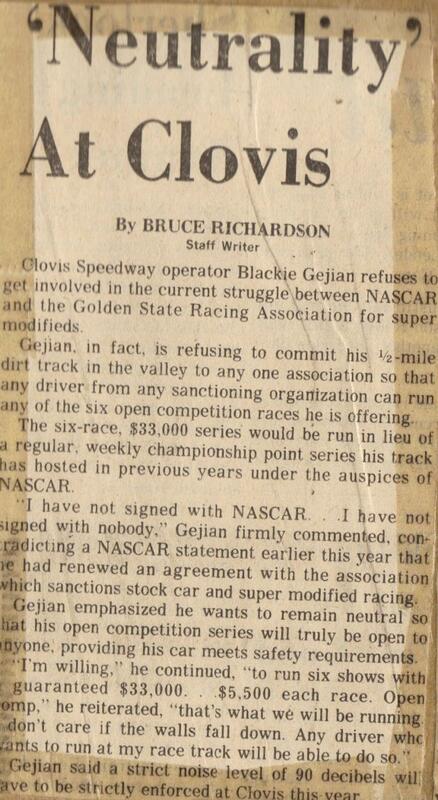 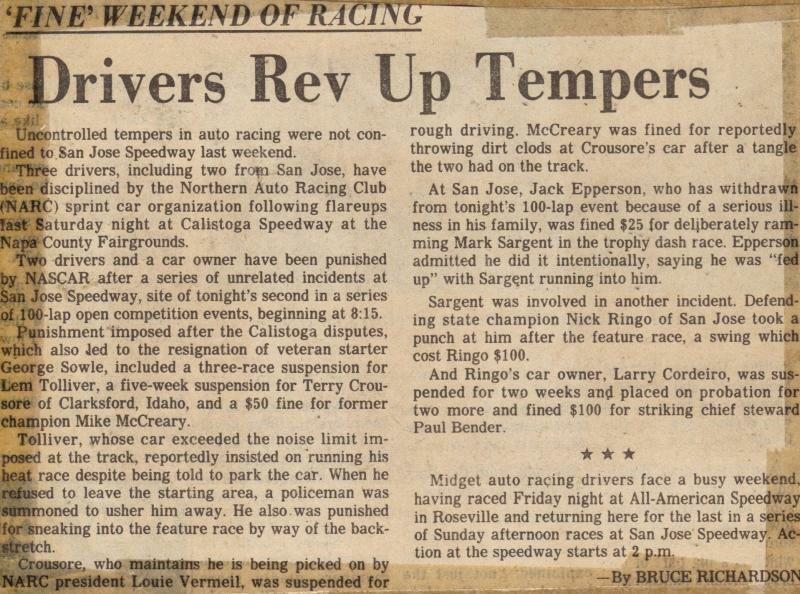 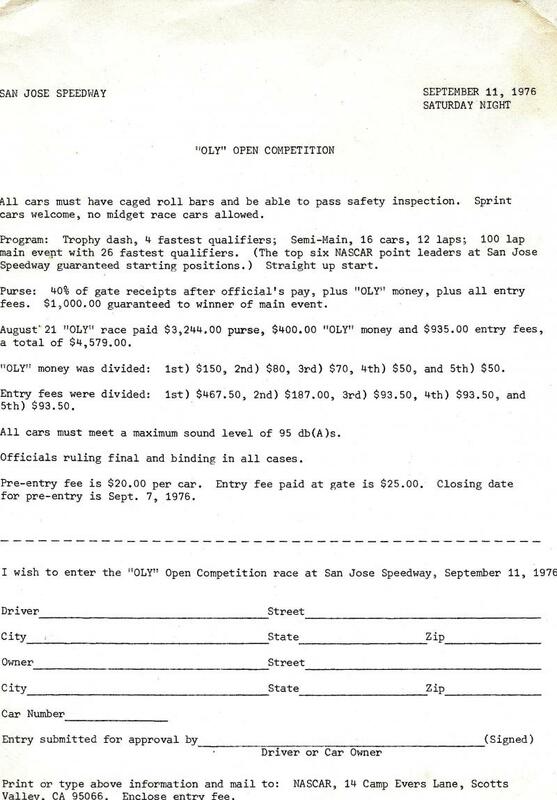 Unhappy with the prize money being paid at San Jose, many drivers decided to boycott the 1976 season and formed the Golden State Racing Association. 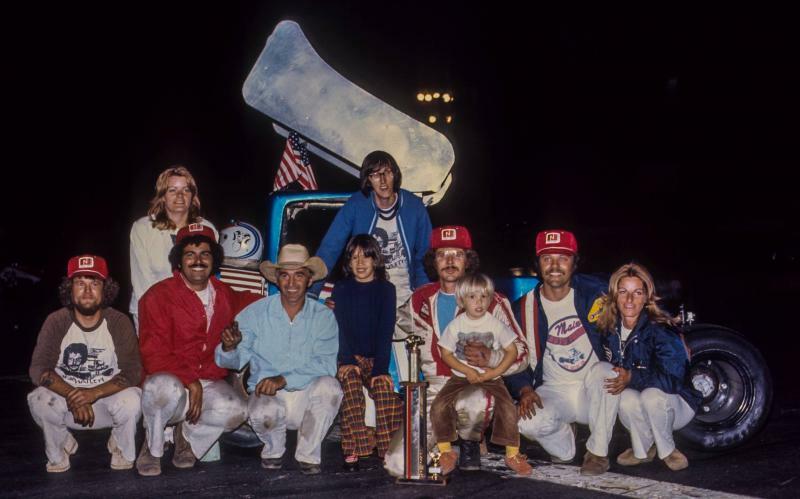 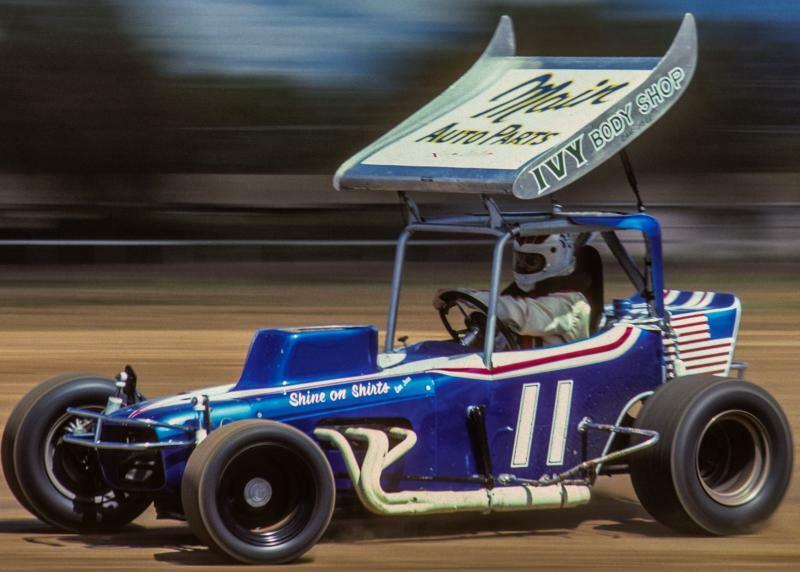 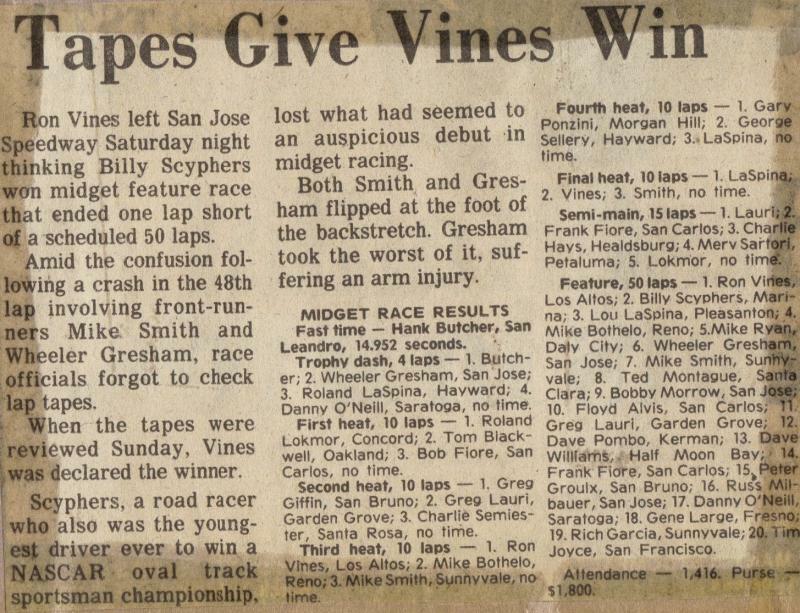 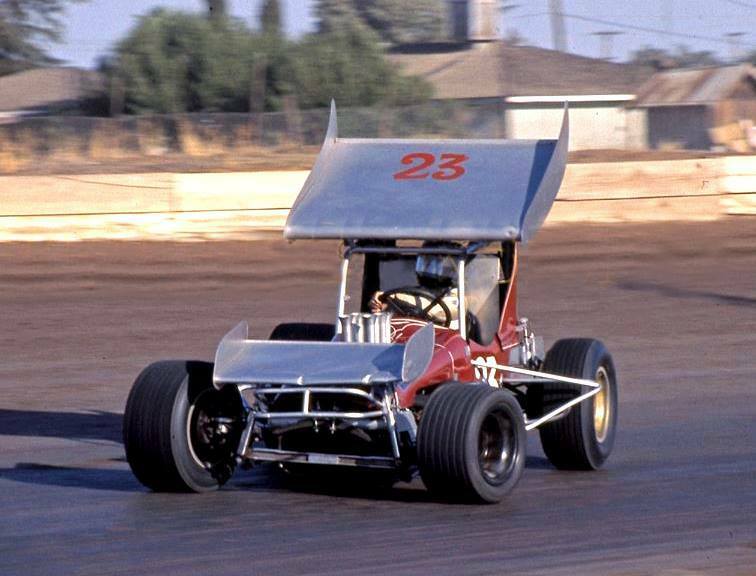 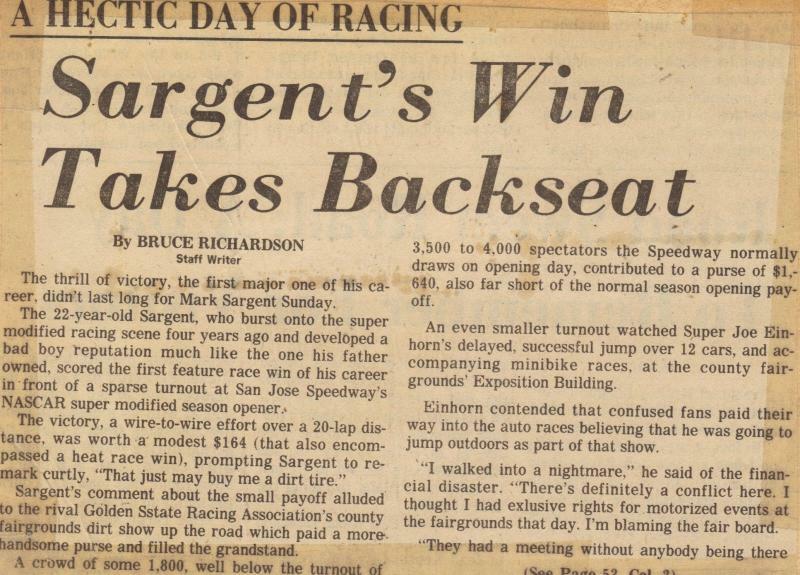 Their innaugral event, billed as "The Revolution In The Dirt" at the Santa Clara County Fairgrounds was held on February 22, 1976, the same day as the San Jose Speedway opener. 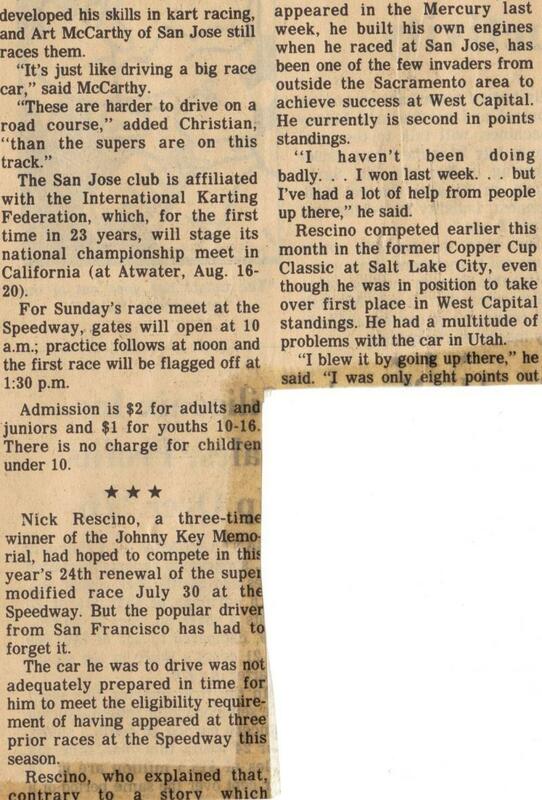 Rick Ferkel won the first event. 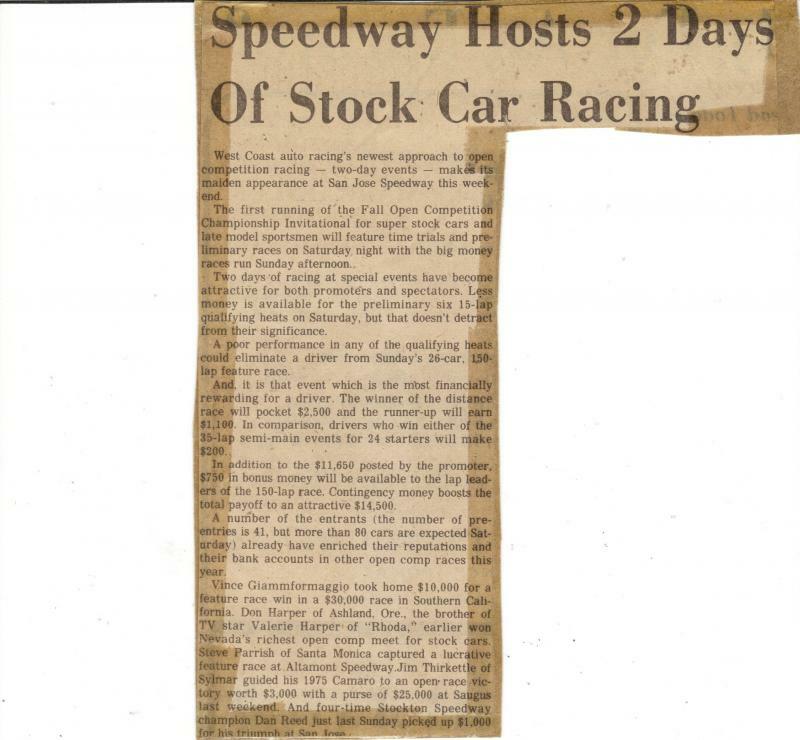 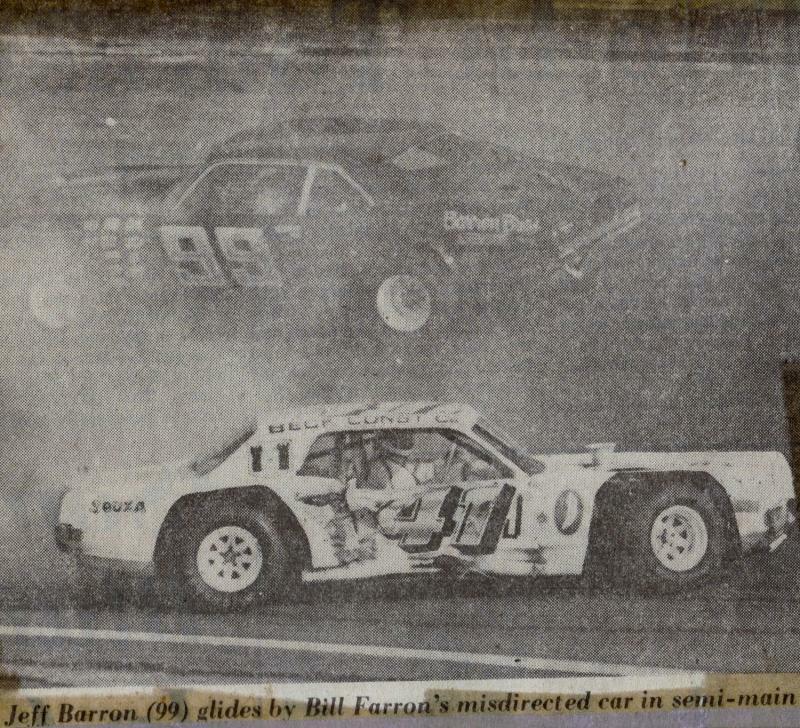 Five more races were held at the fairgrounds before problems with the lighting forced events to move to the Altamont Speedway for four events. 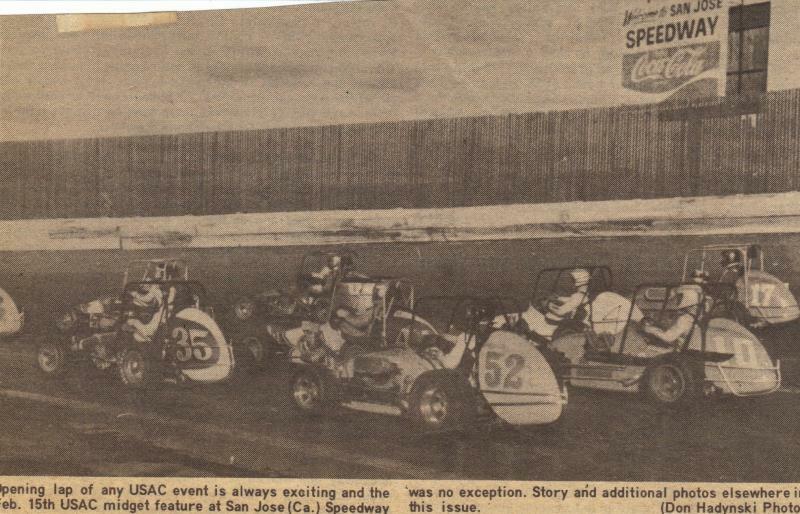 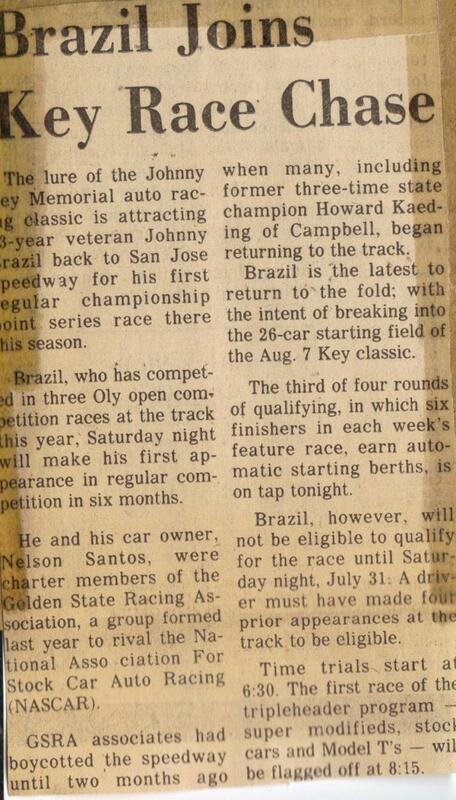 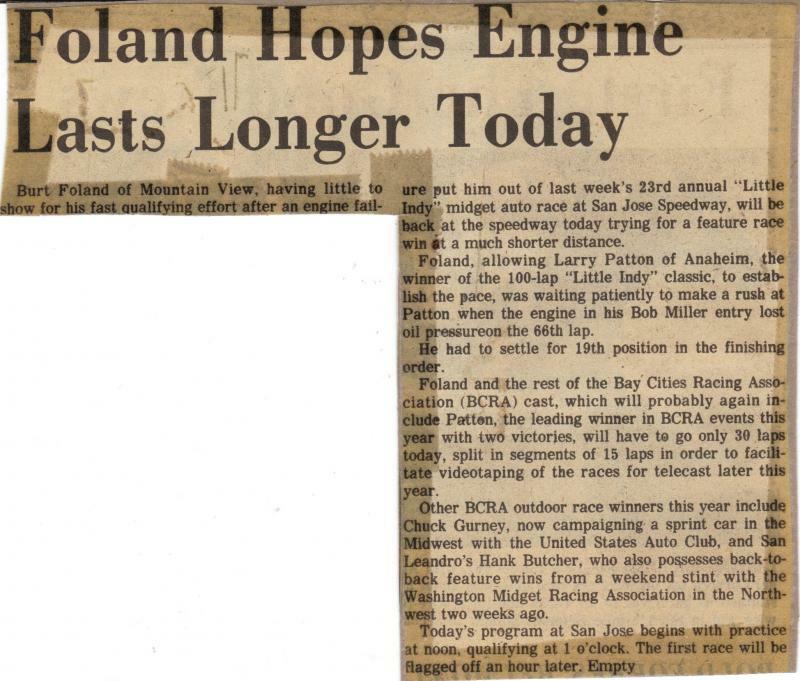 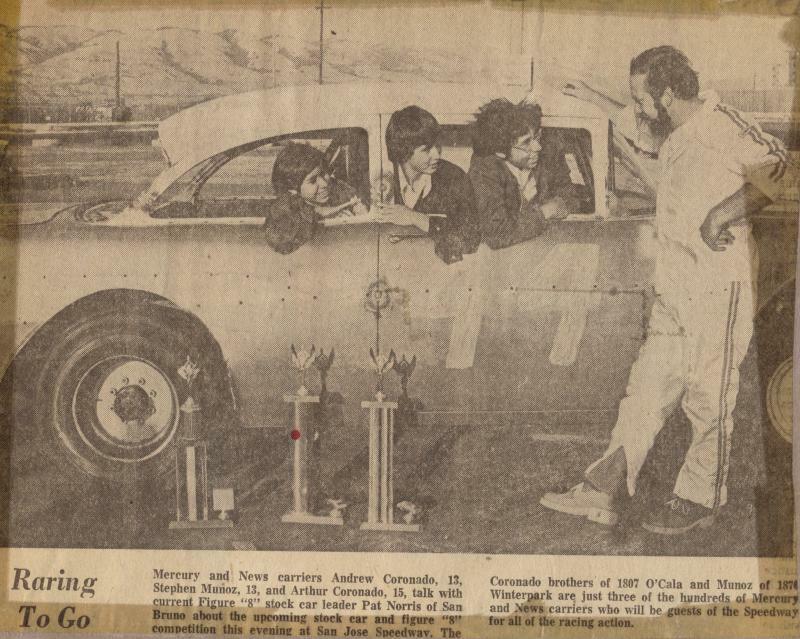 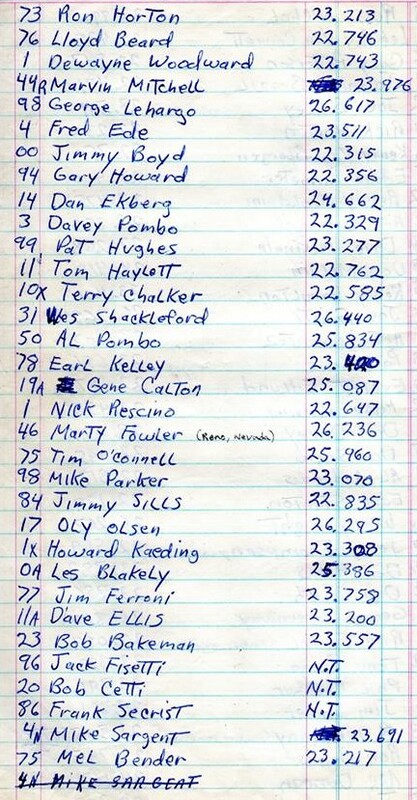 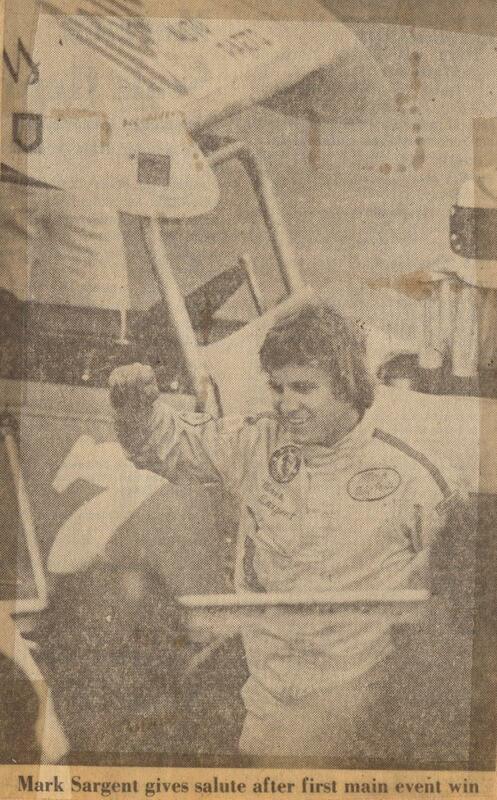 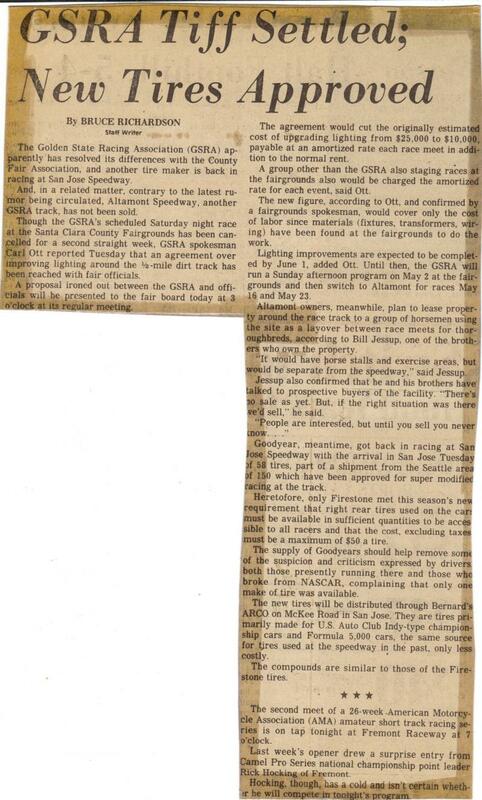 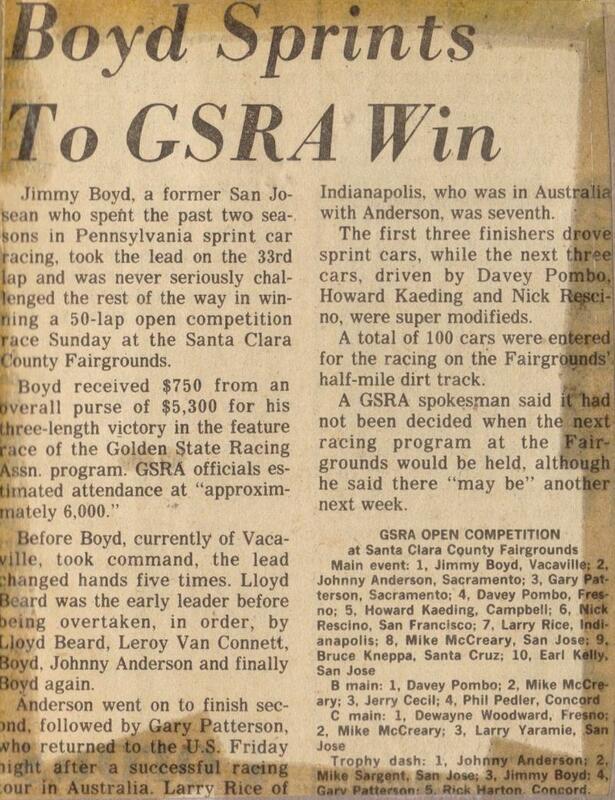 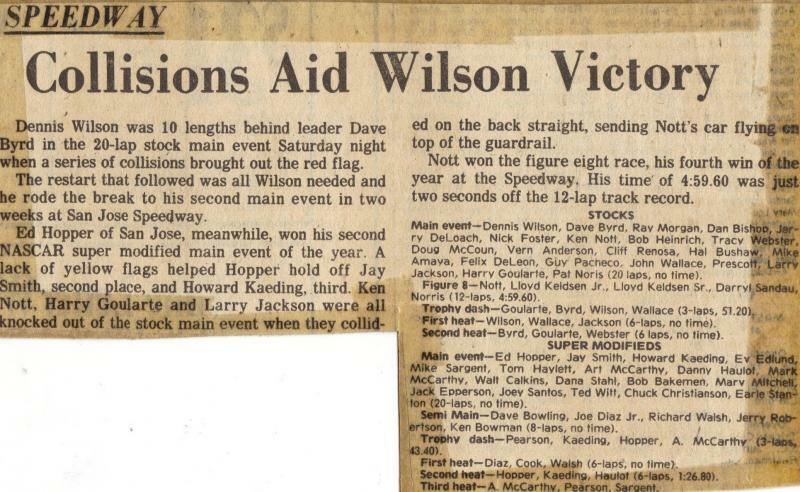 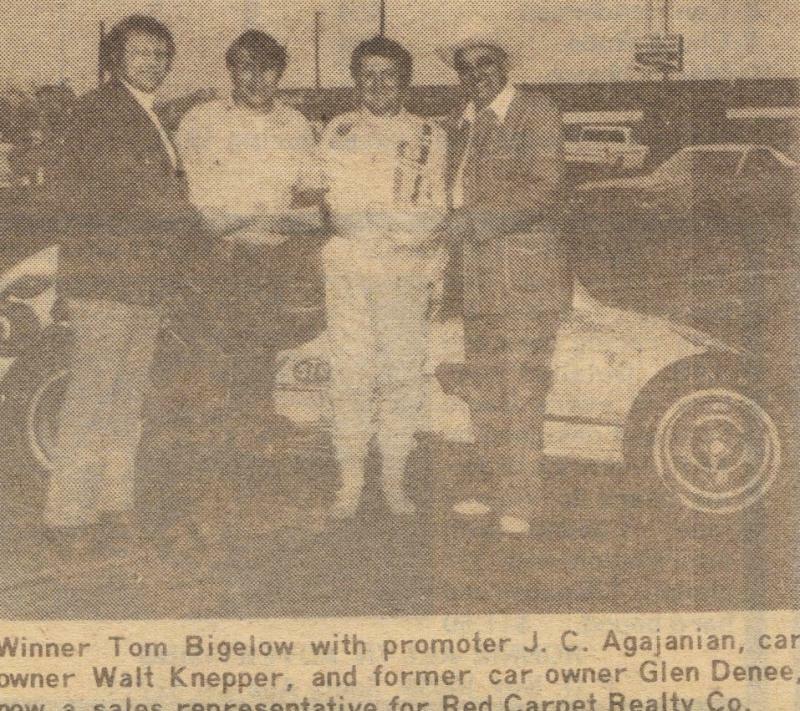 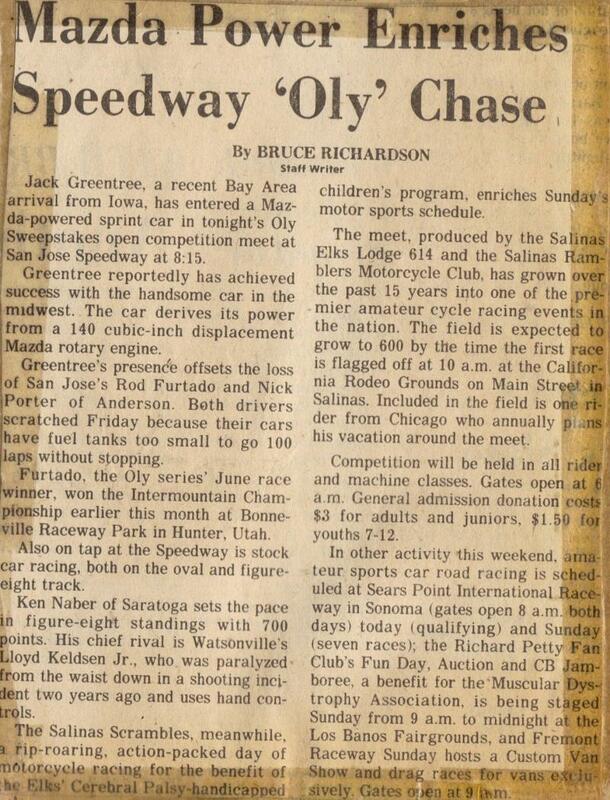 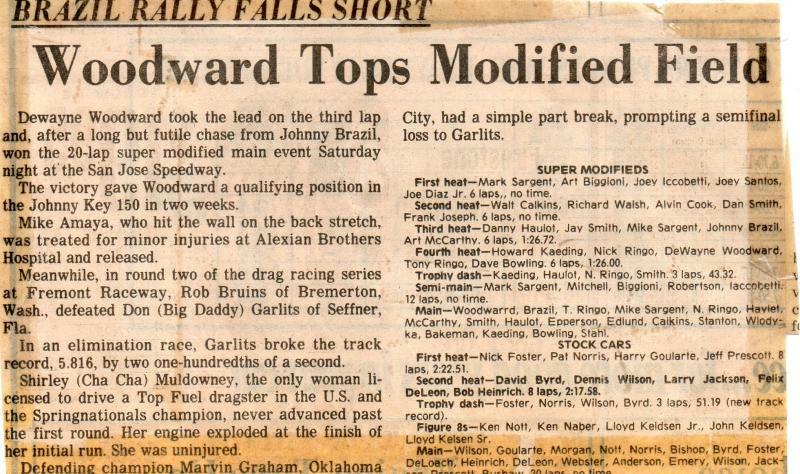 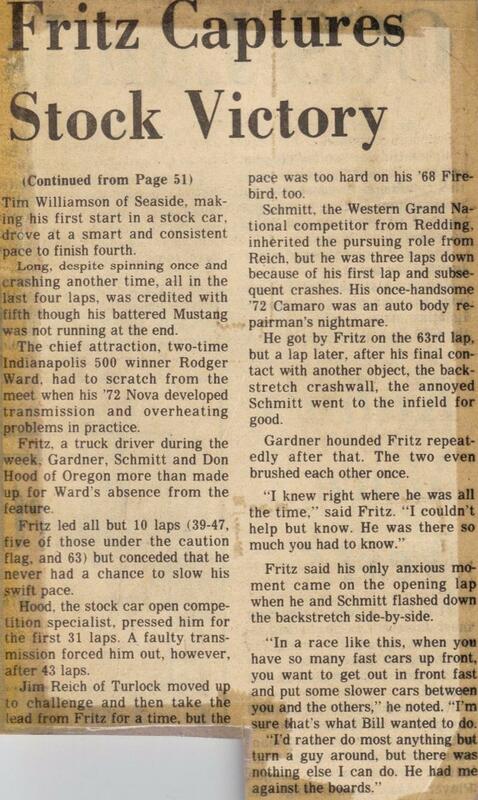 The last GSRA race was held on July 23, 1976 at Altamont and was won by Rod Furtado. 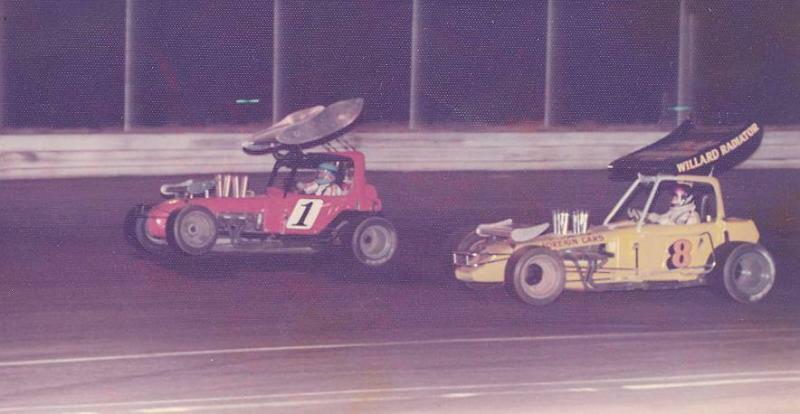 Faced with small fields of super modifieds, San Jose added the late model stock cars to the Saturday night program. 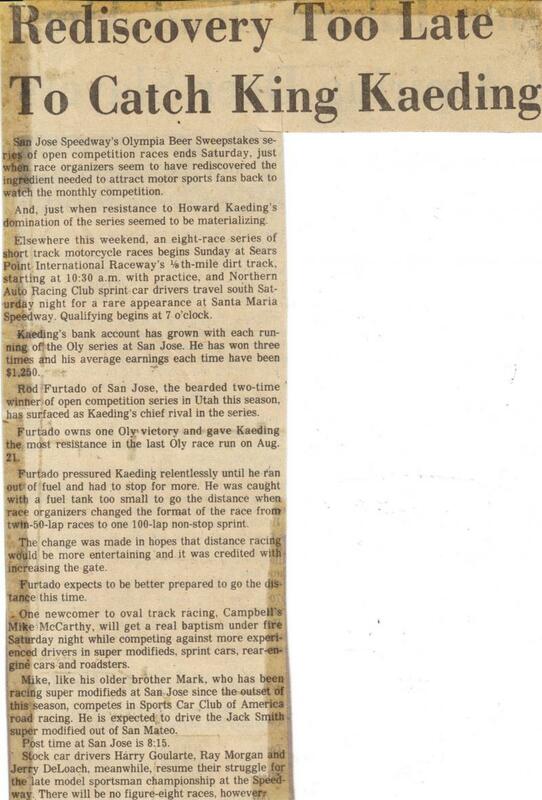 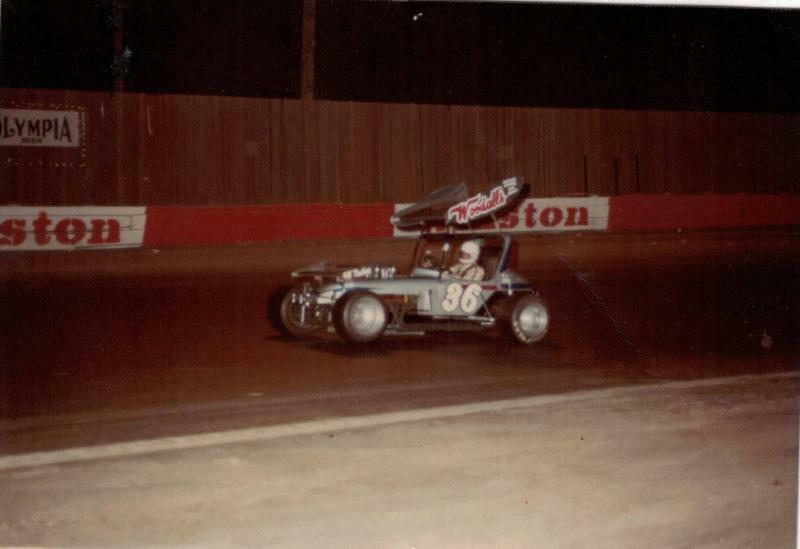 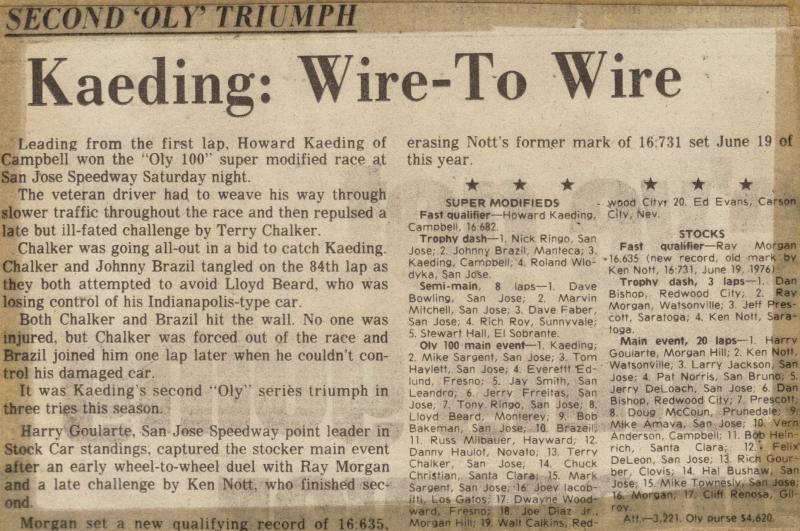 Howard Kaeding missed the first nine events of the 1976 San Jose season but returned to competition on May 22nd and promptly won the next 4 events. 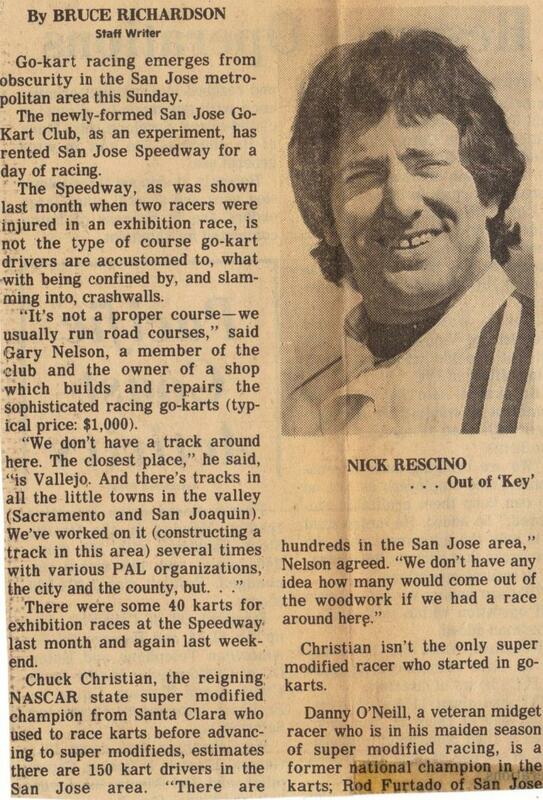 Nick Rescino would move on to compete at the West Capital Raceway in Sacramento. 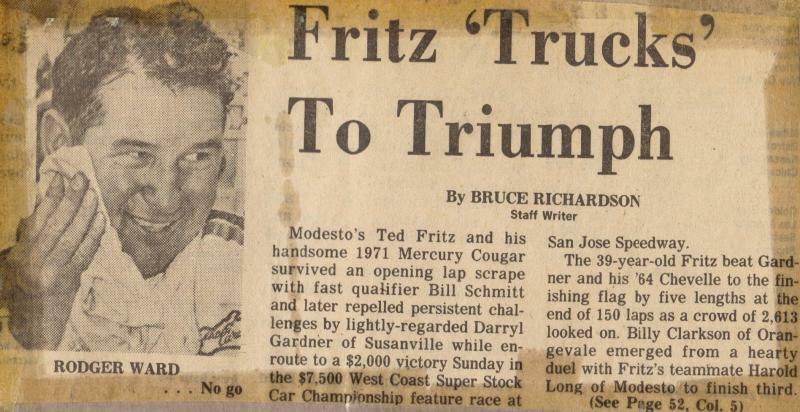 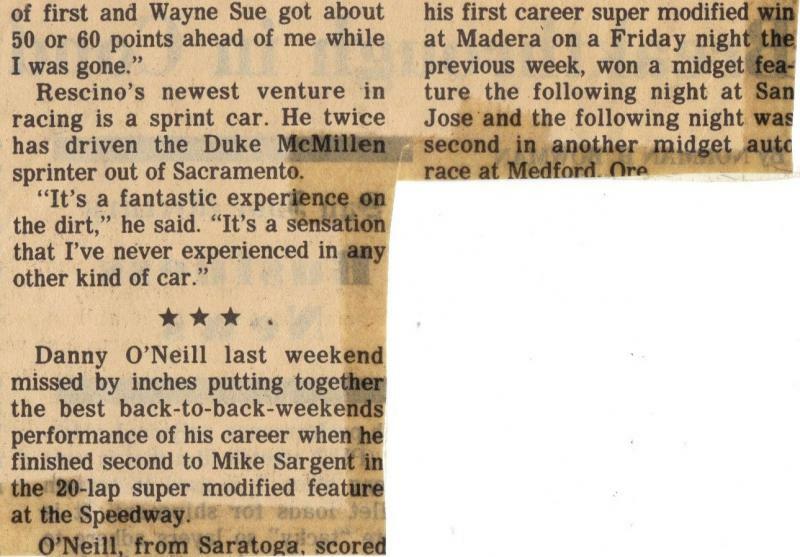 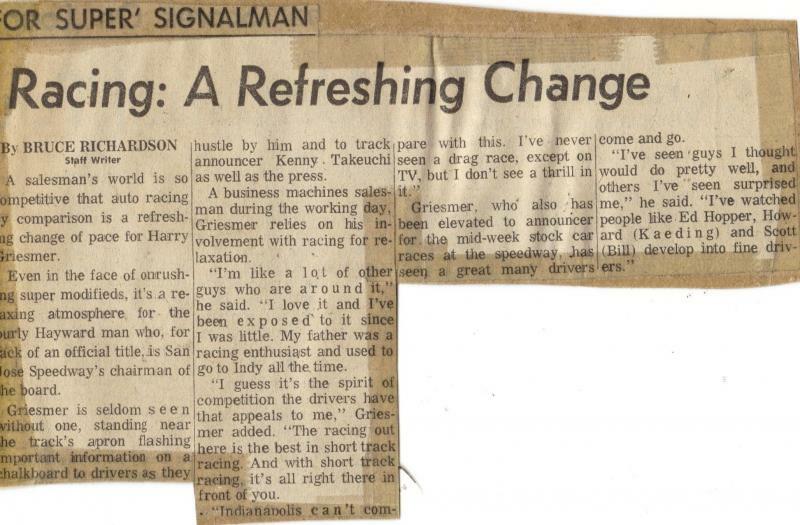 He returned to San Jose on October 3rd for a 100-lap open competition event and scored what would be his last ever San Jose Speedway victory. 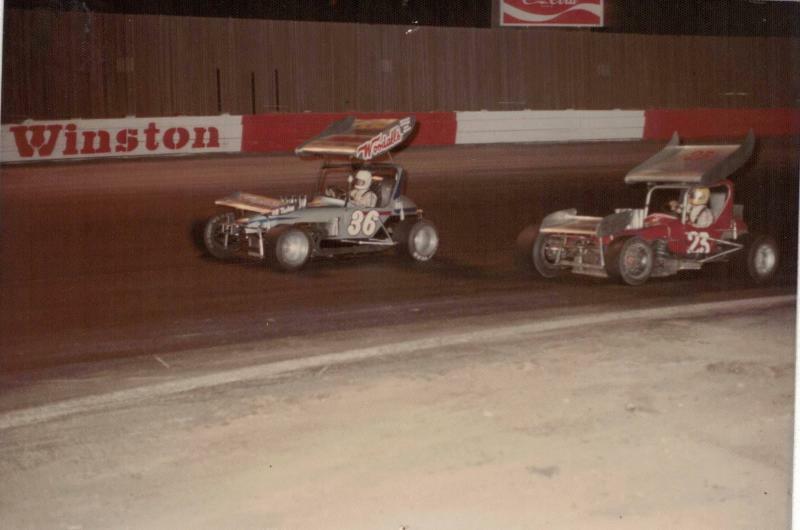 Everett Edlund 36 and Larry Corderio #23. 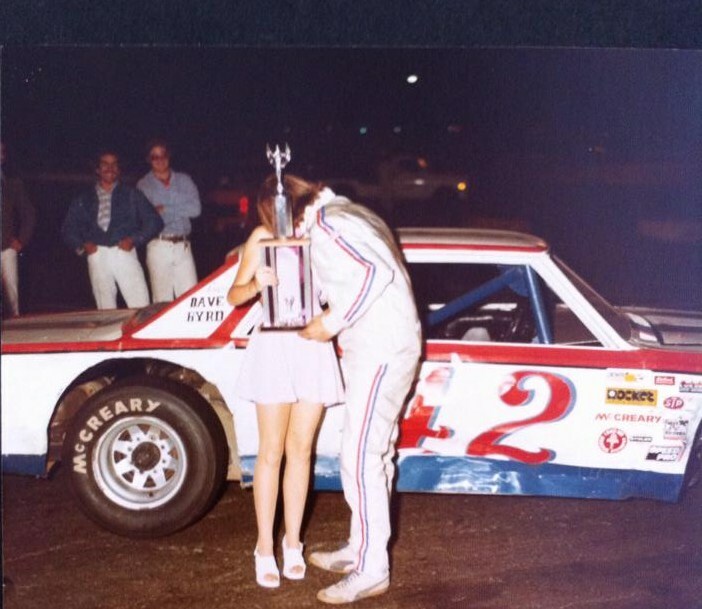 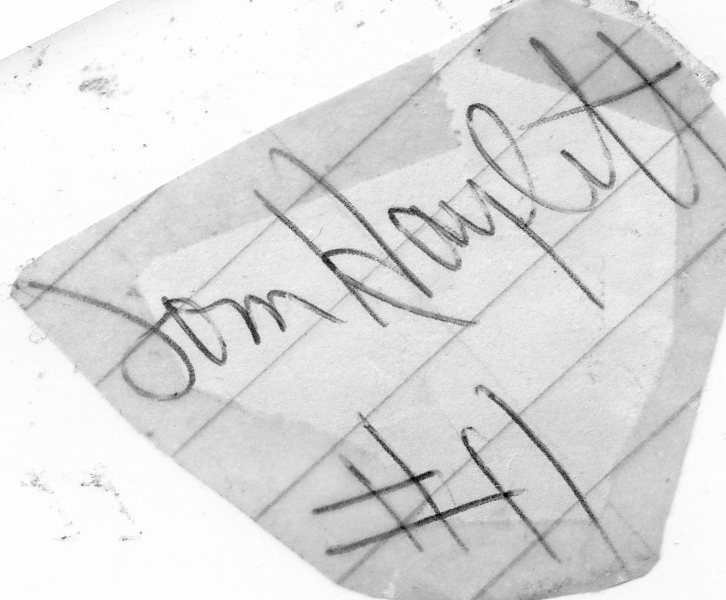 From the Randy Bennett collection. 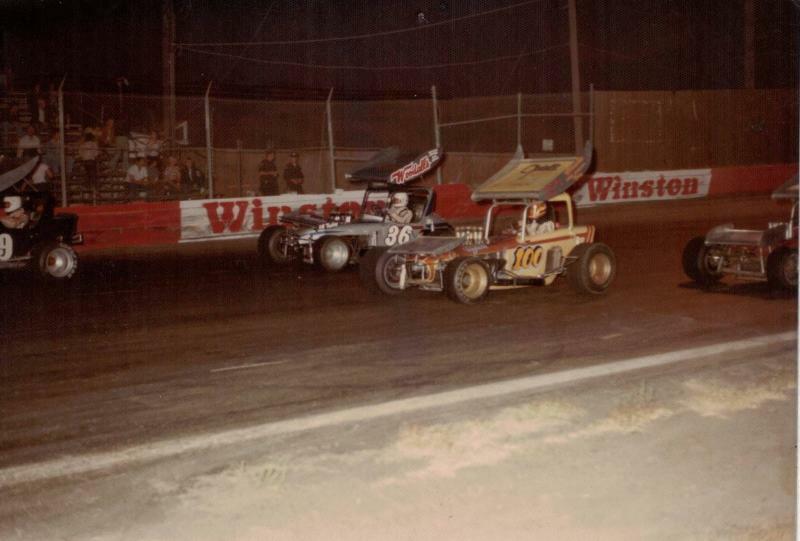 Everett Edlund 36 and Johnny Brazil 100. 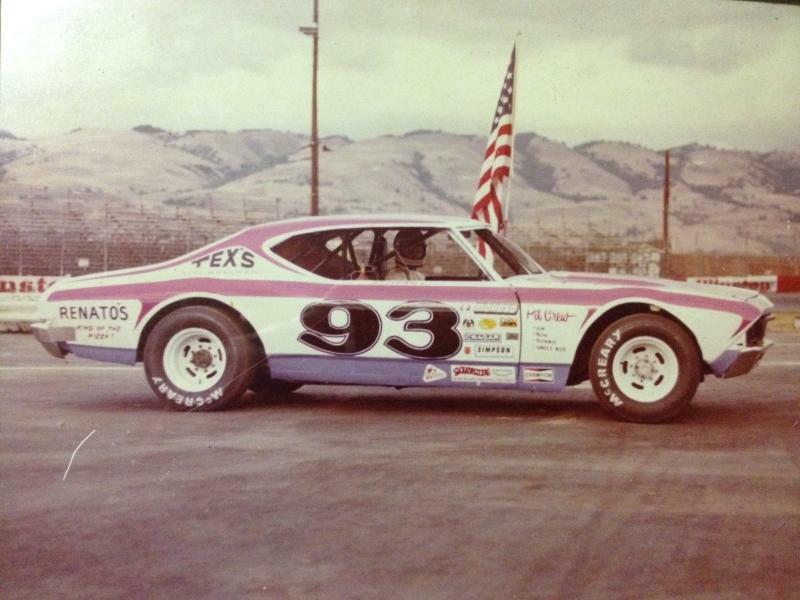 From the Randy Bennett collection.